Peace Talks mediators are knowledgeable and creative family law mediators who appreciate that litigation may not be the best route for couples who want to divorce with their dignity and finances intact. I highly recommend their modern and enlightened approach to family law. Once in a while, something related to my previous incarnation in the investment world catches my attention, especially when it relates to the credit markets. A piece in The Washington Post by David Lynch shed some light on important recent developments in the economy, particularly affecting consumers, as we moved into the second quarter. Here are a few things David points to that are relevant to most of us, especially those people that are young and maybe first-time users of a credit card. Including, of course, our kids. “For most of the past decade, as the U.S. economy marched through the second-longest expansion in its history, Americans enjoyed a rare trifecta: soaring stock values, cheap loans and consumer prices that rarely rose”. 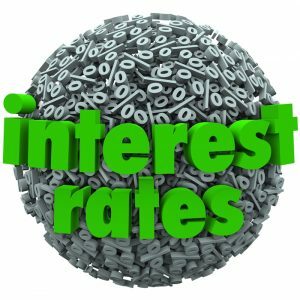 But today’s rising borrowing costs will hit an economy loaded with debt, meaning that people and businesses will have to spend even more on interest payments. Corporations outside the finance industry at the end of last year owed creditors more than $49 trillion. Rising consumer prices have not been a significant problem for years. That may be about to change as the Commerce Department reported that prices, excluding food and energy products, rose at a 2.5 percent annual clip in the first three months of 2018. It’s not difficult to “do the math” and figure out that a lot of us are going to have to make adjustments and make the time to talk about any major expenditures or purchases while conditions are still somewhat favorable.